After Mother Nature continued her early-season bounty Wednesday with steady snowfall across much of the state, another snowstorm loomed in Friday's forecast with the mountains expecting up to a foot-plus of fresh powder. The storm is expected to produce a welcome dump of snow just in time for three more Vermont alpine ski areas - Sugarbush, Stowe and Okemo - to open Friday. "We're under a Winter Weather Advisory, with 8-13" for Friday. Yes, Opening Day is likely to be a powder day. Better be here!" read an announcement on Sugarbush's Facebook page Thursday. Sugarbush Resort will open to passholders Friday, Nov. 16, and to the public the next day. “I am excited to announce that we will be opening a little ahead of schedule this season. 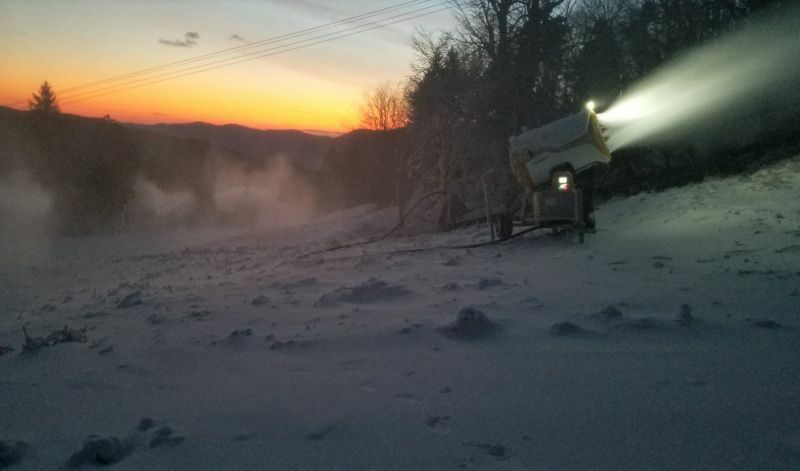 Thanks to some great snowmaking temps and the hard work of our snowmaking team, along with over a foot of natural snow since this past weekend, we will be opening a day early for Passholder Appreciation Day this Friday,” said Win Smith, owner of Sugarbush Resort, in an email. The natural snowfall Tuesday night into Wednesday allowed Trapp Family Lodge to open, with cross country skiing on three trails: Sugar Road, Fox Track and Telemark. 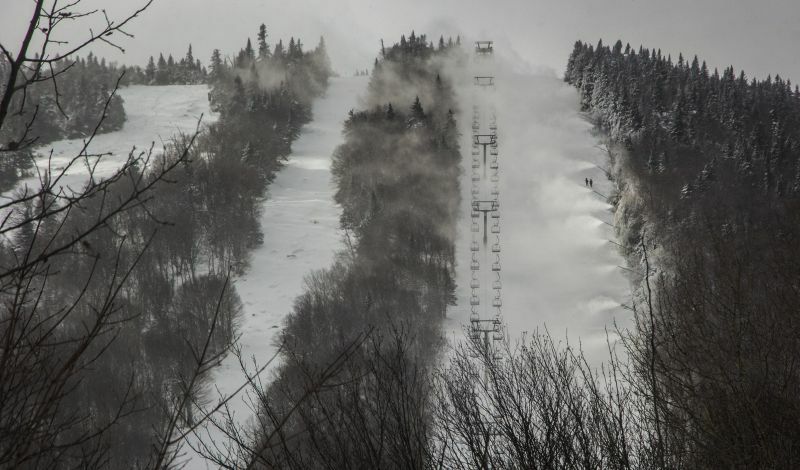 Nearby Stowe Mountain Resort saw its weeklong snowmaking efforts bolstered by significant natural snowfall, leading to stellar surfaces for its planned opening on Friday, Nov. 16. “On Friday we plan to be open top-to-bottom on primary blue terrain with the Four Runner Quad running 8 a.m. to 4 p.m., Monday through Friday, and 7:30 a.m. weekends and holidays,” Jeff Wise, Marketing and Communications Director, said earlier in the week. Epic Pass holders will also be excited to hear that Okemo Mountain Resort will also be operational in time for the weekend. 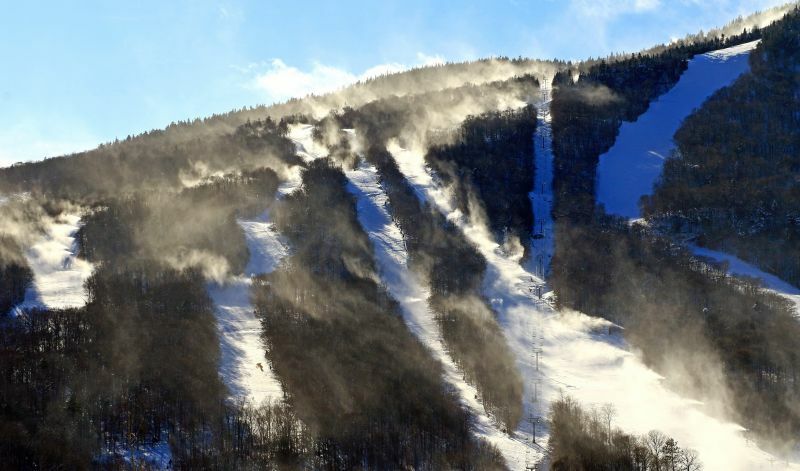 “We are looking good for our planned Friday opening,” said Doug Pierini, Vice President and COO of Okemo. 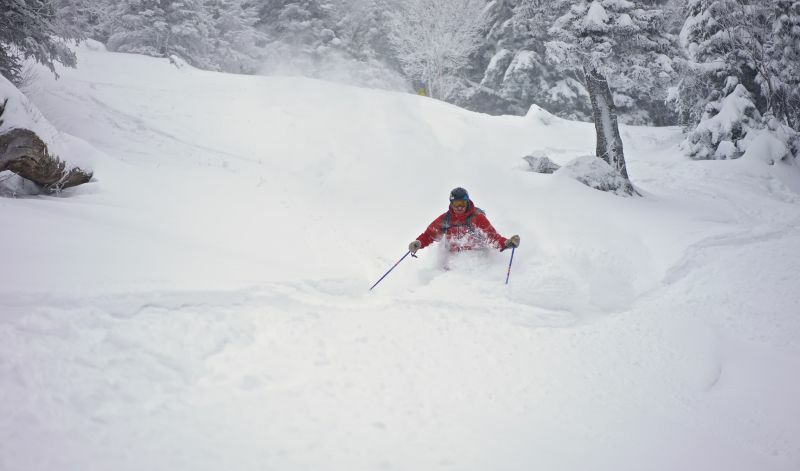 Smugglers’ Notch Resort reported accumulations of up to 18 inches on the mountain Wednesday, with drifts of up to two feet. Smugglers' Notch has a planned opening date of Nov. 23, along with Jay Peak and Magic Mountain. Stratton Mountain Resort was in the midst of its own personal blizzard, with more than 200 snow guns spreading the white stuff on a dozen trails including favorites like Black Bear, Polar Bear, Upper Tamarack and Frank’s Fall Line. With all the new natural snow landing on an already solid man-made base, Stratton is well on track for its scheduled opening on Nov. 21. The Sun Mountain, Bromley, has officially become the Snow Mountain thanks to a double dose of natural and man-made snow. Bromley plans to open Friday, Nov. 23, and provide weekend service before starting seven-day-a-week operations on Dec. 7. 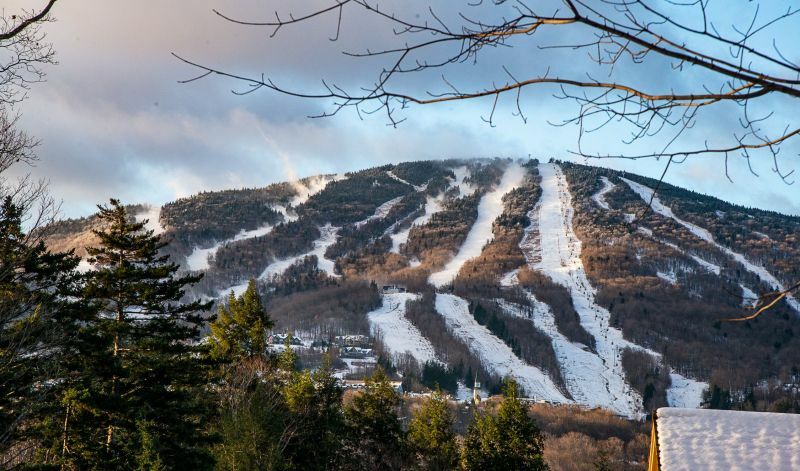 Jay Peak Resort has the same opening date circled on its calendar, and Director of Communications JJ Toland said the planets are aligned for stellar skiing and snowboarding conditions by then. 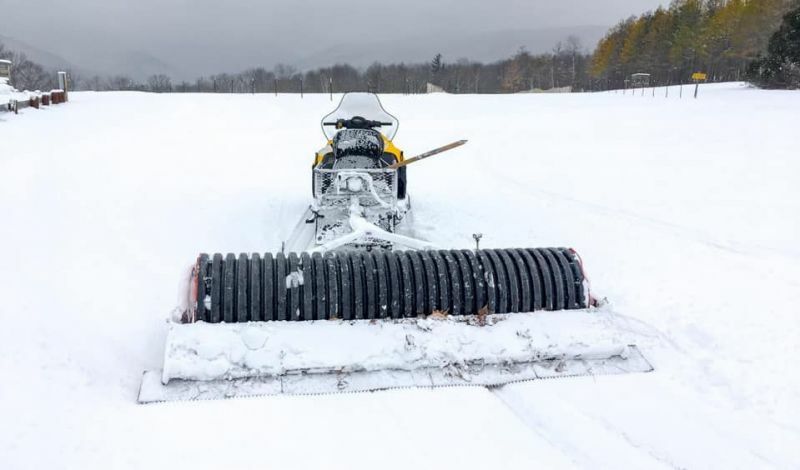 “The Friday of the Thanksgiving holiday is always our Opening target and with a foot-plus of natural snow predicted this week and temps that allowed us to begin snowmaking operations last Saturday, we’ll open for the season Friday, Nov. 23,” said Toland. Mad River Glen also got into the act, with snow guns blowing near its base area to help set up surfaces ahead of its yet-unannounced opening. 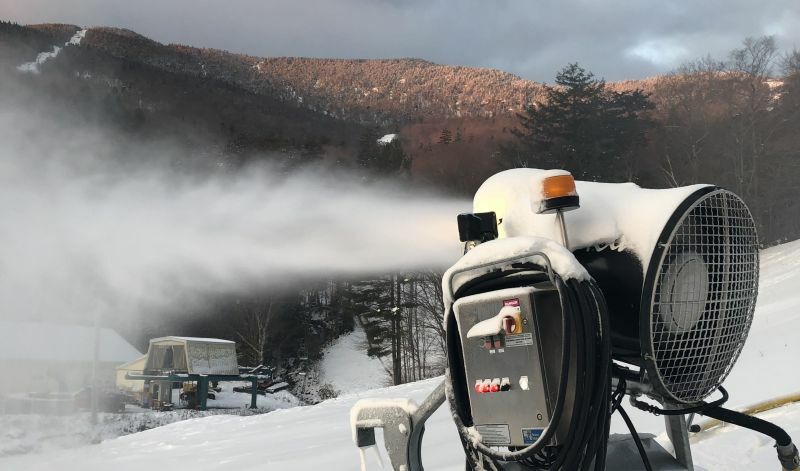 “Many skiers think Mad River Glen doesn’t make snow (or groom for that matter) but in fact we do both and they are vital to the way the mountain is managed,” said Matt Lillard, General Manager of Mad River Glen. Those openings will bolster a 2018-19 ski season that is already well underway. Killington Resort first spun its lifts on Oct. 19 – a full three weeks ahead of its opening day last season and tied with Maine’s Sunday River for earliest opening in the East. Mount Snow Resort welcomed skiers and snowboarders the following weekend for the earliest opening in its 64-year history. The first three weeks of November are traditionally the sweet spot for Vermont ski areas opening. 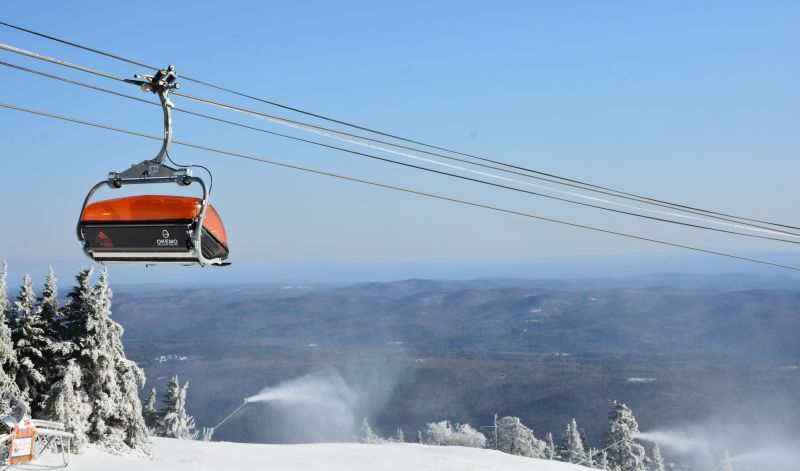 Last year, nine of the state’s alpine resorts opened between Nov. 8 and Thanksgiving weekend.